are the twins making your head spin? chingus, put in your choices and spread the word. Article: Naver 'Dear Judge' Yoon Si Yoon, strong first appearance.. "Death penalty for the accused"
Han Soo Ho (Yoon Si Yoon) is an upright judge, and his twin brother, Han Kang Ho (Yoon Si Yoon) lives his life as a gangster, going in and out of jail. Han Soo Ho disappears, and Han Kang Ho is forced to become a judge in stead of his brother. Donggu's acting as a gangster is good. Yoon Si Yoon's acting is really good. The story is interesting too. I'm going to be a first broadcast killer! This is going to be my Wednesday-Thursday drama. It's fun.. Yoon Si Yoon's acting is great. Been a long time since I've watched a public TV drama. These days, I don't even watch dramas, but realizing that Yoon Si Yoon is acting in this, I watched the first broadcast of it. ㅋㅋㅋ Compared to his Takgu days, he is more handsome now.. It's my first time seeing Lee Yoo Young-nim, but she looks clean and charismatic.. I've watched both episodes without realizing the time!!! Finally a drama that is worth watching. I was so absorbed in the show. Yoon Si Yoon's acting is really good. I've been watching him since High Kick, and even during his Kim Takgu days.. his acting has a wide variety!! I'm watching Dear Judge on Wed-Thurs. It's fun. ㅎㅎ Time flies watching this! Donggu's acting is really good!!! Soo Ho and Kang Ho are totally different people! Yoon Si Yoon's acting is crazy. ㅋㅋㅌㅋㅋㅋㅋㅋㅋㅋㅋ Where is the preview? I think she will be translating the netizen comments for this drama so you might want to visit her page regularly. Going to check out first episode now. Let's see if this can convince. Have to wait patiently for Viki subtitlers to do their magic...currently looks like Ep1 is being subtitled (5% last time I checked) - and I probably have to wait even longer because I haven't paid to subscribe. But here's to great ratings (and then for it to rise tonight after bursting out the blocks last night). They were aiming for 15% from yesterday's interviews... Fingers crossed they get there.. The producing director (PD) of “Your Honor” and Hello Venus’s Nararecently spoke out in praise of Yoon Shi Yoon! “Not just him, but seeing all the other seniors made me realize, ‘This is how they became great actors,'” she added. Fresh off Press!! 1st place ratings!! Happy dance!! Fans of dramas with darker plots have two new dramas to check out this week! SBS’s newest Wednesday-Thursday drama “Your Honor” is about identical twin brothers Han Soo Ho and Han Kang Ho (both played by Yoon Shi Yoon) who lead completely different lives. Han Soo Ho is a principled judge while Han Kang Ho is a convicted criminal with an extensive record. As seen in the premiere broadcast on July 25, they went down different paths early on in their lives when Han Soo Ho testified against his brother, who stabbed him with a knife during a rescue attempt. When Han Soo Ho disappears suddenly on the day that Han Kang Ho is released from prison, Han Kang Ho determines he must impersonate his brother and take his place as a judge. 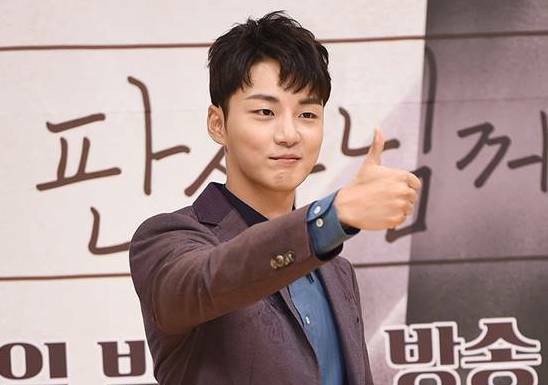 Yoon Shi Yoon’s skilled portrayal of the two brothers and his wide range of emotions captivated viewers and helped “Your Honor” bring in viewership ratings of 5.2 percent and 6.3 percent according to Nielsen Korea. These were the highest ratings among dramas in this time slot. MBC’s “Time” also premiered on July 25, and came in at second place in its time slot. It recorded a viewership of 3.5 percent and 4.0 percent. Seol Ji Hyun (Girls’ Generation’s Seohyun)’s life is destroyed when her younger sibling dies, seemingly due to the actions of Chun Soo Ho (Kim Jung Hyun). When Chun Soo Ho learns he doesn’t have much time left, he tries to do everything in his power to help Seol Ji Hyun. The two lead actors earned considerable praise from viewers during the premiere for their immersive acting. KBS2’s “Your House Helper” placed third with viewership ratings of 2.3 percent and 2.7 percent. These dramas air at 10 p.m KST every Wednesday and Thursday. Check out the premiere of “Your Honor” below! His mom is truly the worst and his brother is not really good either. He so deserved the apologie. Only thing I like is that the mom choose a twin, be nice to him but he don't care about her while the other would have if she had been humane with him. I just wish that she wouldn't cry because she doesn't deserve it. As such, Yoon Seon-yun has a very different character and characterizes Yong Sik Yoon as the protagonist of the drama and extremism. In addition to comic and hilarious action, he acted in a variety of suffocating performances, and he caught the attention of viewers from the first broadcast. True but I think she does love both. It's always easier to love and prefer the one who is "keeping the rules" and "excelling academically". Both want and need love. She chose to shower excessive love on SuHo as evidenced by the numerous dishes she makes for him (until his whole fridge is full!!) and he probably feels like she's smothering him. I think she does love KangHo - she went to the back of the bus and gently moved his head back in position and she was trying to sit down and talk to him on the hill...she just didn't know how to meet him where he's at...he just wanted an apology (?) from her and for her to acknowledge that she did him wrong by favouring his brother. Her worrying and trying to get him to change for the better just came across in a way that made him angrier because he always felt like she was comparing him with his perfect Brother (which he knows he will never be like), plus she was so quick to assume that KangHo was always the one to blame in a bad situation (like at the police station). He just wanted her to accept that he was different and love him regardless. I think as time passes the cracks will show in SuHo's armour of perfection...he has his own demons he is battling. I am not making excuses for the mother but it must be hard raising 2 boys on your own. We'll see if reconciliation happens down the track or not. Not so much YSY but DJ/YH was #1 on Naver and Daum for a while yesterday. Gosh. I forgot about the premiere. I'll be watching later. But read good things and YSY skilled acting. He's a good actor. Different characters from what we've seen from previous dramas. Thanks for update. I just read this from HANCINEMA website..
"Your Honor" started off in first place. According to Nielsen Korea nationwide, the SBS drama "Your Honor" rated 5.2% and 6.3%. It doubled the ratings for the final episode of "Handsome Guy and Jung-eum", which was 2.6% and 2.8%. MBC's "Time" ratted 3.5% and 4.0%, coming in second. The numbers fell tremendously from the final episodes of "Come and Hug Me", which rated 5.1% and 5.9%. KBS 2TV's "Your House Helper" rated 2.3% and 2.7%, which dropped slightly from 3.5% and 4.5% last week. Meanwhile, the new MBN drama "Witch's Love" had a good start with 2.255%. JTBC "Let's Have A Bite" rated 4.458% while TV Josun "Powerful Opponents" rated 2.516%.